There is growing interest in the design of special-purpose hardware accelerators for deep learning, the Google TPU being one example. In this research, we seek to enable 2x or more reduction in the power consumption of TPU and TPU-like accelerators using an old hardware trick: voltage underscaling. We propose to run the chip at a reduced voltage to dramatically cut its power consumption, but at nominal frequency. In return for lower power, voltage underscaling results in occasional errors in computation (referred to as timing errors). Motivated by techniques such as DropOut that are commonly used in training deep nets, we show that the TPU can simply detect and “drop” these erroneous computation with minimal loss in classification accuracy. We are thus able to cut power by more than 60% with only a 1% loss in accuracy for benchmark deep neural nets. Similar techniques can be used to enhance the resilience of TPU-like accelerators to permanent faults. 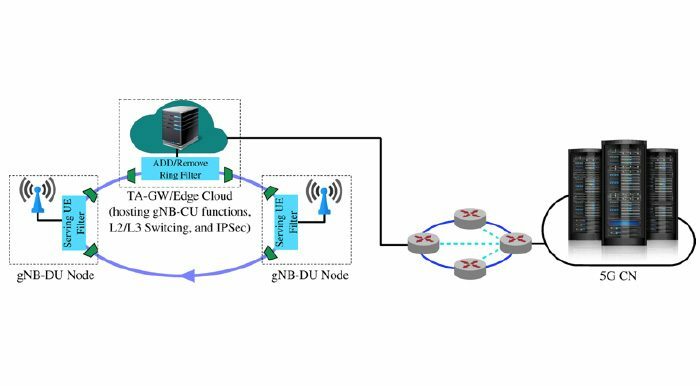 S. Xu, P. Liu, R. Wang, and S. Panwar, “Realtime scheduling and power allocation using deep neural networks,” in 2019 IEEE Wireless Communications and Networking Conference (WCNC) (IEEE WCNC 2019), Marrakech, Morocco, Apr. 2019. J.S. Lu, E.M. Vitucci, V. Degli-Esposti, F. Fuschini, M. Barbiroli, J.A. Blaha and H.L. Bertoni, “A Discrete Environment-Driven GPU-Based Ray Launching Algorithm,” IEEE Transactions on Antennas and Propagation; Vol. 67, No. 2, pp. 1180-1192, February 2019. E Björnson, L Sanguinetti, H Wymeersch, J Hoydis, TL Marzetta, “Massive MIMO is a Reality-What is Next? Five Promising Research Directions for Antenna Arrays,” arXiv preprint arXiv:1902.07678, Feb. 2019. A. Khalili, F. Shirani, E. Erkip, and Y. C. Eldar, “On multiterminal communication over MIMO channels with one-bit ADCs at the receivers,” arXiv preprint arXiv:1901.10628, 2019. A. Khalili, F. Shirani, E. Erkip, and Y. C. Eldar, “Tradeoff between delay and high SNR capacity in quantized MIMO systems,” arXiv preprintarXiv:1901.09844, 2019. 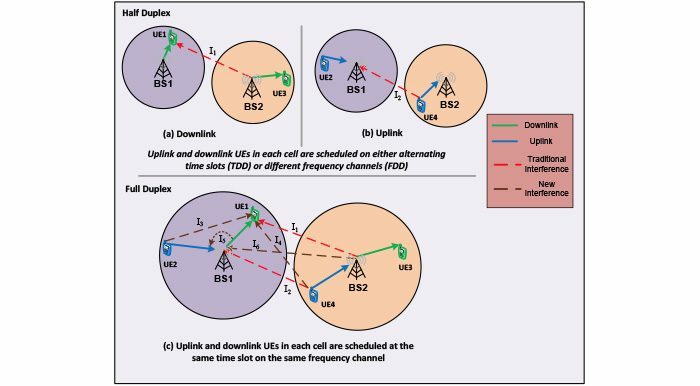 M Sadeghi, E Björnson, EG Larsson, C Yuen, T Marzetta, “Joint unicast and multi-group multicast transmission in massive MIMO systems,” IEEE Transactions on Wireless Communications 17 (10), 6375-6388, Oct. 2018. A Ashikhmin, L Li, TL Marzetta, “Interference reduction in multi-cell massive MIMO systems with large-scale fading precoding,” IEEE Transactions on Information Theory 64 (9), 6340-6361, Sept. 2018. EG Larsson, TL Marzetta, HQ Ngo, H Yang, “Antenna count for massive MIMO: 1.9 GHz vs. 60 GHz,” IEEE Communications Magazine 56 (9), 132-137, Sept. 2018. Yilin Song, Jonathan Viventi, and Yao Wang, “Diversity encouraged learning of unsupervised LSTM ensemble for neural activity video prediction,” Initial version: Nov. 2016, Last updated: July 2018. Yilin Song, Yao Wang, and Jonathan Viventi, “Multi Resolution LSTM For Long Term Prediction In Neural Activity Video,” Initial version: May 2017, Last updated: July 2018. A. Aparo, V. Bonnici, G. Micale, A. Ferro, D. Shasha, A. Pulvirenti, R. Giugno, S. Verlag, “Simple Pattern-only Heuristics Lead To Fast Subgraph Matching Strategies on Very Large Networks,” ISSN:2194-5357, Oral presentation at the 12th International Conference on Practical Applications of Computational Biology and Bioinformatics (PACBB’18), Toledo (Spain) 20th-22nd June, 2018. TL Marzetta, “Spatially-stationary propagating random field model for massive MIMO small-scale fading,” 2018 IEEE International Symposium on Information Theory (ISIT), 391-395, June 2018. H Yang, TL Marzetta, “Energy Efficiency of Massive MIMO: Cell-Free vs. Cellular,” 2018 IEEE 87th Vehicular Technology Conference (VTC Spring), 1-5, June 2018. Shervin Minaee, Yao Wang, Alp Aygar, Sohae Chung, Xiuyuan Wang, Yvonne W. Lui, Els Fieremans, Steven Flanagan, Joseph Rath “MTBI Identification From Diffusion MR Images Using Bag of Adversarial Visual Features”, IEEE Transactions on Medical Imaging. F. Porto, J. Rittmeyer, E. Ogasawara, A. Krone-Martins, P. Valduriez, D. Shasha, “Point Pattern Search in Big Data,” Scientific and Statistic Database Management, June 2018, Bolzano-Bozen, Italy. K. Varala, A. Marshall-Colón, J. Cirrone, M. D. Brooks, A. V. Pasquino, S. Léran, S. Mittal, T. M. Rock, M. B. Edwards, G. J. Kim, S. Ruffel, W. R. McCombie, D. Shasha, G. M. Coruzzi, “Temporal transcriptional logic of dynamic regulatory networks underlying nitrogen signaling and use in plants,” PNAS May 16, 2018. 201721487; published ahead of print May 16, 2018. M Sadeghi, E Björnson, EG Larsson, C Yuen, TL Marzetta, “Mrt-Based Joint Unicast and Multigroup Multicast Transmission in Massive Mimo Systems,” 2018 IEEE International Conference on Acoustics, Speech and Signal Processing, April 2018. E. Erkip, S. Panwar, S. Shahsavari, F. Fund, “Capturing Capacity and Profit Gains with Base Station Sharing in mmWave Cellular Networks” e-print in arXiv.org:1804.0985, Apr. 2018. S. Shahsavari, A. Ashikhmin, E. Erkip, and T. L. Marzetta, “Coordinated multi-point massive MIMO cellular systems with sectorized antennas,” 52nd IEEE Asilomar Conference on Signals, Systems, and Computers, 2018. “Typicality Matching for Pairs of Correlated Graphs,” Information Theory (ISIT), 2018 IEEE International Symposium on. IEEE, Feb 3, 2018. Y. Liu, Y. Liu, Y. Shen, K. Li, “Recommendation in a Changing World: Exploiting Temporal Dynamics in Ratings and Reviews”, in ACM Transactions on the Web, Volume 12 Issue 1, February 2018. M. Sadeghi, E. Björnson, E. G. Larsson, C. Yuen and T. L. Marzetta, “Max–Min Fair Transmit Precoding for Multi-Group Multicasting in Massive MIMO,” in IEEE Transactions on Wireless Communications, vol. 17, no. 2, pp. 1358-1373, Feb. 2018. F. Shirani, G. Siddharth, E. Erkip, “Optimal Active Social Network De-anonymization Using Information Thresholds,” Information Theory (ISIT), 2018 IEEE International Symposium on. IEEE, Jan 19, 2018. M. Heidari, F. Shirani, S. S. Pradhan, “Bounds on the Effective-length of Optimal Codes for Interference Channel with Feedback,” Information Theory (ISIT), 2018 IEEE International Symposium on. IEEE, Jan 16, 2018. Yuan Wang, Yao Wang, Yvonne W Lui, “Dynamic Causal Modelling with neuron firing model in generalized recurrent neural network framework,” ISMRM 2018. Fanyi Duanmu, Xin Feng, Xiaoqing Zhu, Dan Tan, and Yao Wang, “A Multi-View Pedestrian Tracking Framework Based on Graph Matching,” IEEE International Conference on Multimedia Information Processing and Retrieval (MIPR), Miami, Florida, USA, 2018. R. Wang, Y. Song, Y. Wang and J. Viventi, “Long-term prediction of μECOG signals with a spatio-temporal pyramid of adversarial convolutional networks,” 2018 IEEE 15th International Symposium on Biomedical Imaging (ISBI 2018), Washington, DC, 2018, pp. 1313-1317. doi: 10.1109/ISBI.2018.8363813. S. Krishna, D. Shasha, T. Wies, “Go with the flow: Compositional Abstractions for Concurrent Data Structures,” Principles of Programming Languages 2018. 37:1-37:31. O. Levchenko, D.E. Yagoubi, R. Akbarinia, F. Masseglia, D. Shasha, B. Kolev, “Spark-parSketch: A Massively Distributed Indexing of Time Series Datasets,” CIKM 2018 demonstration. G. Michale, R. Giugno, A. Ferro, M. Mongiovi, D. Shasha, A. Pulvirenti, “Fast Analytical Methods for Finding Significant Labeled Graph Motifs,” Data Mining Knowledge Discovery 32(2): 504-531 (2018). D. Yagoubi, R. Akbarinia, B. Kolev, O. Levchenko, F. Masseglia, P. Valduriez, D. Shasha, “ParCorr: Efficient Parallel Methods to Identify Similar Time Series Pairs across Sliding Windows,” Data Mining and Knowledge Discovery, 2018. F. Shirani, S. S. Pradhan, “Lattices from Linear Codes and Fine Quantization: General Continuous Sources and Channels,” Information Theory (ISIT), 2018 IEEE International Symposium on. IEEE, 2018. Shervin Minaee, Yao Wang, Anna Choromanska, Sohae Chung, Xiuyuan Wang, Els Fieremans, Steven Flanagan, Joseph Rath, Yvonne W Lui, “A Deep Unsupervised Learning Approach Toward MTBI Identification Using Diffusion MRI”, International Engineering in Medicine and Biology Conference (EMBC), IEEE, 2018. Yilin Song, Yao Wang, and Johnathan Viventi, “Adversarial autoencoder analysis on human μECoG dataset“, Dec. 2017. S. Wesemann and T. L. Marzetta, “Channel Training for Analog FDD Repeaters: Optimal Estimators and Cramér–Rao Bounds,” in IEEE Transactions on Signal Processing, vol. 65, no. 23, pp. 6158-6170, Dec.1, 1 2017. F. Shirani, G. Siddharth, E. Erkip, “Seeded graph matching: Efficient algorithms and theoretical guarantees,” 2017 51st Asilomar Conference on Signals, Systems, and Computers, Pacific Grove, CA, Nov 28, 2017. Yilin Song, Chenge Li, Yao Wang “Pixel-wise object tracking“, Initial version: Nov. 2017, Last updated: July 2018. F. Shirani, G. Siddharth, E. Erkip, “An information theoretic framework for active de-anonymization in social networks based on group memberships,” 2017 55th Annual Allerton Conference on Communication, Control, and Computing (Allerton), Monticello, IL, Oct 11, 2017. Yuanyi Xue, Yao Wang, “A Novel Video Coding Framework using Self-adaptive Dictionary,” IEEE Transactions on Circuits and Systems for Video Technology, Oct. 2017. S. Rangan, A. K. Fletcher, V. K. Goyal, E. Byrne and P. Schniter, “Hybrid Approximate Message Passing,” in IEEE Transactions on Signal Processing, vol. 65, no. 17, pp. 4577-4592, Sept. 1, 2017. Rangan, Sundeep, Philip Schniter, and Alyson K. Fletcher, “Vector approximate message passing,” IEEE ISIT, July 2017. M. Zhang, M. Polese, M. Mezzavilla, S. Rangan, M. Zorzi “ns-3 Implementation of the 3GPP MIMO Channel Model for Frequency Spectrum above 6 GHz,” Workshop on ns-3, June 13 – 14, 2017, Porto, Portugal. M. Servajean, A. Joly, D. Shasha, J. Champ, E. Pacitti, “Crowdsourcing Thousands of Specialized Labels: a Bayesian active training approach,” in IEEE Transactions on Multimedia , Volume: 19, Issue: 6, June 2017, pp. 1376-1391. M. Borgerding; P. Schniter; S. Rangan, “AMP-Inspired Deep Networks for Sparse Linear Inverse Problems,” in IEEE Transactions on Signal Processing , vol. 65, no. 16, pp. 4293-4308. S. Sun and T. S. Rappaport, “Millimeter Wave MIMO Channel Estimation Based on Adaptive Compressed Sensing,” 2017 IEEE International Conference on Communications Workshop (ICCW), May 2017. X. Yang, C. Liang, M. Zhao, H. Wang, H. Ding, Y. Liu, Y. Li, J. Zhang, “Collaborative Filtering Based Recommendation of Online Social Voting”, in IEEE Transactions On Computational Social Systems, Volume 4, Issue 1, Pages 1-13, March 2017. Fanyi Duanmu, Zhan Ma, Meng Xu, and Yao Wang, “An HEVC-Compliant Fast Screen Content Transcoding Framework Based on Mode Mapping”, IEEE Transactions on Circuits and Systems for Video Technology (TCSVT), 2018. Yuan Wang, Yao Wang, Yvonne W Lui, “Generalized Recurrent Neural Network accommodating Dynamic Causal Modelling for functional MRI analysis,” ISMRM, 2017. Shervin Minaee, Yao Wang, “Palmprint Recognition Using Deep Scattering Convolutional Network,” IEEE International Symposium on Circuits and Systems, 2017. Yilin Song, Yao Wang and Jonathan Viventi, “Unsupervised Learning of Spike Pattern for Seizure Detection and Wavefront Estimation of High Resolution Micro Electrocorticographic (μECoG) Data,” IEEE transactions on nanobioscience 16.6 (2017): 418-427. S Minaee, Wang Y, Chung S, Wang X, Fieremans E, Flanagan S, Rath J, Lui YW., “A Machine Learning Approach For Identifying Patients with Mild Traumatic Brain Injury Using Diffusion MRI Modeling”, ASFNR 12th Annual Meeting, 2017. S Minaee, Y Wang, “Text Extraction From Texture Images Using Masked Signal Decomposition”, Global Conference on Signal and Information Processing, IEEE, 2017. Fanyi Duanmu, Zhan Ma, Meng Xu and Yao Wang, HEVC-Compliant Screen Content Transcoding Based on Mode Mapping and Fast Termination, IEEE Visual Communications and Image Processing (VCIP), 2017. S. Rangan, A. K. Fletcher, P. Schniter and U. S. Kamilov, “Inference for Generalized Linear Models via Alternating Directions and Bethe Free Energy Minimization,” in IEEE Transactions on Information Theory, vol. 63, no. 1, pp. 676-697, Jan. 2017. Fanyi Duanmu; Zhan Ma; Wei Wang; Meng Xu; Yao Wang, “A novel screen content fast transcoding framework based on statistical study and machine learning,” IEEE International Conference on Image Processing, 2016. Fanyi Duanmu, Zhan Ma, Yao Wang, “Fast Mode and Partition Decision Using Machine Learning for Intra-Frame Coding in HEVC Screen Content Coding Extension,” IEEE Journal on Emerging and Selected Topics in Circuits and Systems, 2016. H Yang, TL Marzetta, “Quantized beamforming in Massive MIMO,” 2015 49th Annual Conference on Information Sciences and Systems (CISS), 1-6, March 2015. Fanyi Duanmu, Zhan Ma, Yao Wang, “Fast CU Partition Decision Using Machine Learning for Screen Content Compression,” IEEE International Conference on Image Processing (ICIP), Québec, Canada, 2015. S. Sun, T. S. Rappaport, R. W. Heath, A. Nix, S. Rangan, “MIMO for millimeter-wave wireless communications: beamforming, spatial multiplexing, or both?” IEEE Communications Magazine, vol. 52, no. 12, pp. 110-121, December 2014. Shervin Minaee, Yao Wang, Yvonne W Lui, “Prediction of Longterm Outcome of Neuropsychological Tests of MTBI Patients Using Imaging Features,” IEEE Signal Processing in Medicine and Biology Symposium, 2013.